All Ferraris are special cars; even the most common, least powerful, least fondly remembered ones. Some, however, are clearly more special than others. There are the limited edition track weapons for starters, cars like the 488 Pista and F12 TdF, the V12 hypercars and then the really extreme things, the Special Project cars like the SP38, SP America and this car, the Prototipo. 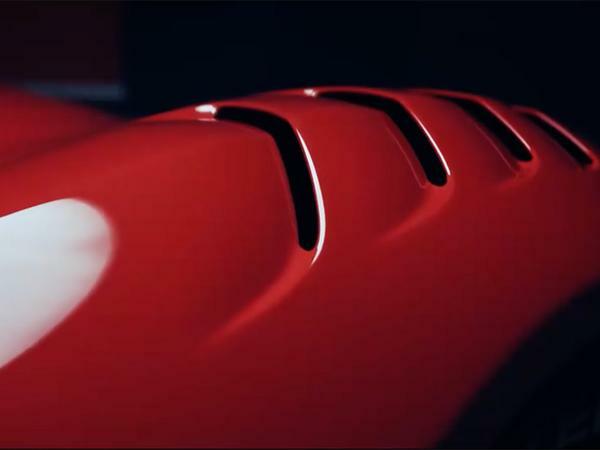 Set to be revealed this afternoon, the Prototipo has been previewed on Ferrari's Facebook page with some moody design sketching sessions and a brief snippet of testing at Fiorano. As is often the way with these things, there's not a great deal to be discovered. Certainly it's a dedicated track car, the aesthetic clues giving that away before the 488 Challenge wheels are bolted on and it's sent on circuit. There are louvres, spoilers and spats aplenty, the Prototipo aggressive and purposeful even by Ferrari's standards. Considering this wasn't known about, this is how to do a teaser - no painful drawn out nonsense, everything out in a day! I hope it looks nice .... it's cost me a bl y fortune! teasing something that isn't for sale?